Harmony. Pain. Love. Cycle of Life. Haoma reaffirms ESMA artisans’ gift for imaginative and highly creative filmmaking. Originally a 2008 ESMA (Ecole Sup�rieure des M�tiers Artistiques) graduation project, this short film was directed by students Matthieu Deltour, Melissa Lafon, Elodie Legros and Yann Moalic. The music was composed by Martin Romberg and performed by the Orchestre National de Montpellier. Set in a dream world where life is governed by cycles, living things are born from cocoons and their primary purpose is to find a mate. An unnamed character is casted away from society due to his differences, only to prove that bravery and sacrifice is the best way to show one’s love. Haoma (ESMA 2008 Graduation Film) from Yann Moalic on Vimeo. 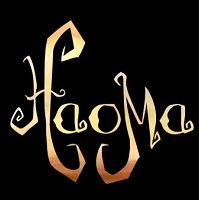 Unlike other ESMA’s animated treat, Haoma is different in multiple levels. It’s an exploration of love and the hypocritical tendency of society to outcast people who are different. The most exhilarating moments are those when you can absorb the main character’s sorrow and loneliness. The scenes are nothing short of magical. The filmmakers have created a dream world that’s visually stunning and amazingly original. All in all, Haoma is a feast for the eyes. It can be considered as a beautiful work of art that was firmly held in both the technical and narrative aspect.